Parents are enthusiastically welcoming the freedom to choose a school for their child’s education, but here are some key factors every parent should carefully consider before making a decision on where to enroll their child. Safety, Curriculum, Knowledge Base, Classroom Space, Learning Materials are just a few of those items. Safety. Do you feel like your child is safe? Is the school fenced? Here at Columbus Charter School we have an Student Resource Officer, blinds on every window, and procedures in place for mandatory drills. Reading and Math Materials. Does your school choice provide the necessary reading and math materials for your child to succeed? Do they have a great reading and math program? Columbus Charter School has been the top scoring school in Bladen and Columbus Counties aided by every student having the necessary reading and math materials. Teaching Staff. Does your school have assistant teachers and coaches? Columbus Charter School not only has assistant teachers, we also have full time teacher coaches to ensure your child is receiving the best personalized education. Specialized Programs. Does the school have an EC (exceptional children) program? Is the school prepared to serve students of all learning levels? 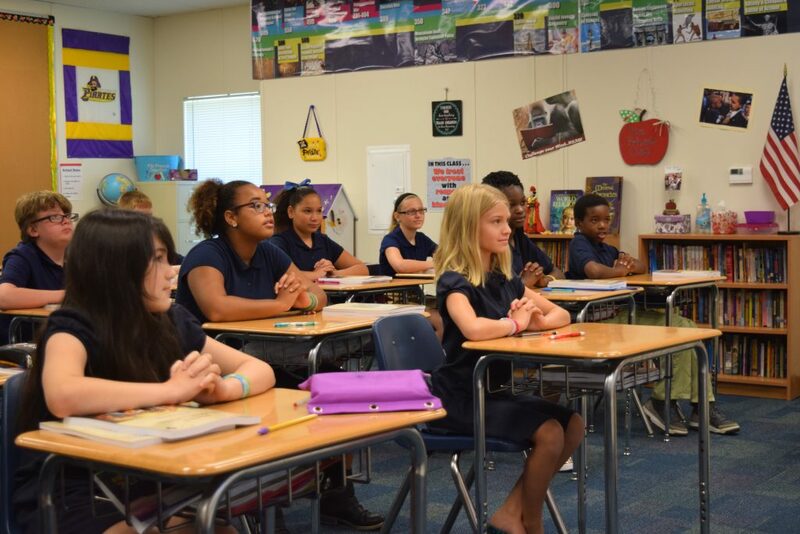 Columbus Charter School maintains a strong EC program and has developed practices that support all students. Proper Training. Are your teachers and administrators trained on state testing requirements and procedures for a successful school year? Recently, Columbus Charter School received a ten-year renewal for superior performance over the first ten years of being the top academic school in the county. Classroom Space. Does your child have their own desk and chair? A child’s individual study space is critical to learning. Sitting on the floor for extended periods of time is not conducive to a good learning environment. Open Lines of Communication. Do you have confidence that you can communicate easily with teachers and administrators over issues involving your child’s lessons and school experience? The Columbus Charter School has clear lines of communication between parents and our teachers and headmasters, thereby giving parents confidence that they can readily address their child’s needs in a timely and personalized way.